Hello SkinnyOffice! I’m back! It’s been almost a year since we were posting every day, and though Elena has moved onto greener pastures, I’m going to try to resume posting a few times a week. I mostly want to start writing again because I’ve spent the better part of the past year eating, accumulating a long list of Skinny Snacks in the process, and I feel like it would simply be a crime not to share! Some things other than my jean size that have changed since SkinnyOffice 1.0 (I will call this reincarnation of SkinnyOffice the 2.0 version, much like Justin Bieber did with his My World albums). Elena at tennis this morning. Can we get some lights on Court 4?! 1. Elena and I have remained good friends but now we are also tennis partners. We’re not exactly on the Olympic track (actually, we’re not even ready to play anyone but each other), but Elena studies pictures to perfect her groundstrokes and I’ve started wearing glasses when we play, so we are (hopefully) making progress. If you read at all last year, you might remember that this isn’t our first athletic endeavor. 2. Elena, who does things like drive below the speed limit and read the contract at the gym before signing it (and thus has zero speeding tickets and does not owe Equinox $1,200), will finally put her allegiance to the law to good use when she moves up to Boston in the fall FOR LAW SCHOOL!! And it’s great for me too, as I will certainly need a lawyer in the near future. Next time you see this photo I’ll be on the other side of those bars. 3. Over the past 12 months, while Elena was studying for the LSATs and buying dress pants at J. Crew to prepare for a future of academia, I underwent one of the least rigorous training programs in the history of sport and am now able to stand on a balance board for 30 minutes; I went to London and got my haircut at the same salon Kate Middleton goes to; and I learned how to use WordPress a little better. Hopefully one of these things will come in handy at some point in my life. I’ll be back soon with some new snack options, so stay tuned! When I was younger, I never understood what my parents meant when they said they were tired after a long day of work. “You’re just sitting!” I screamed, incensed that they wouldn’t go out and buy me the candy that I so desperately needed. How could sitting be so tiring? Adults were weird. Fast forward to today, and I now understand how draining sitting in front of a computer can be. The computer is an altar, and every time I place my wrists on the keyboard, it takes some of my energy as a sacrifice. Energy theft isn’t the only downside to sitting at desk for hours at a time; our muscles and joints can get tight and sore from being sedentary, especially if they’re in an awkward position. Today’s stretches target a popular problem region for office workers: the hands and wrists. Accessories or heavy duty wrist protection? Gray is a fantastic color. From sheer blouses to pencil skirts, gray pieces add a delicate refinement to an ensemble that darker neutrals cannot, and when it comes to nails, gray polish is no different. As a neutral, gray is simultaneously conservative and complementary, with shades that work with every skin tone. For the summer, choosing a gray polish with cool undertones will have you abiding by the conservative company dress policy without boring yourself to tears. Although bright colored trousers may seem too audacious for most corporate establishments, pairing them with a simple top may just land you in the clear for casual Fridays or other less formal office environments. Plus, trousers have the sophistication of a vertical crease, which not only creates a polished look but also vertically divides our thighs, trimming them visually to create a thinner, more polished silhouette. With less than six weeks of summer left, we thought it’d be nice to show off our favorite bold bottoms while we can, all of which can be paired with any tucked in neutral toned shirt. I love Yukon Gold potatoes. I’m not a chef (surprise of the century, I know), I eat but I’m not a foodie, and until recently, I didn’t pay much attention to the differences between potatoes. Then, this past June I found an old copy of Fine Cooking magazine and stumbled upon this mouthwatering recipe for Crushed Potato and Watercress Cakes. I bought Yukon Gold potatoes the next day, but upon returning home, realized that I forgot to buy watercress. Story of my life. Anyway, I ended up using the Yukon Gold potatoes in other simple, uninspired dishes and soon discovered their wonderful texture (they’re a delight to slice) and buttery flavor. 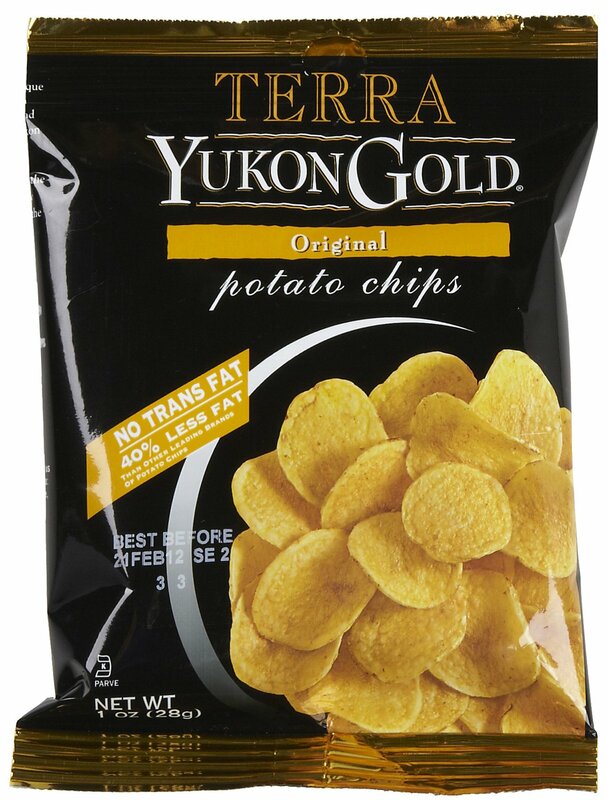 I was a fan, and I’m pretty sure that’s why I decided to try Terra Yukon Gold Original Potato Chips. With busy schedules balancing work, family and (if we’re lucky) a social life, allotting time for exercise can be difficult. Likewise, when we do magically muster the courage to become the early bird that gets the worm and go to the gym, we don’t fully maximize our workout time because we don’t know how to work out. 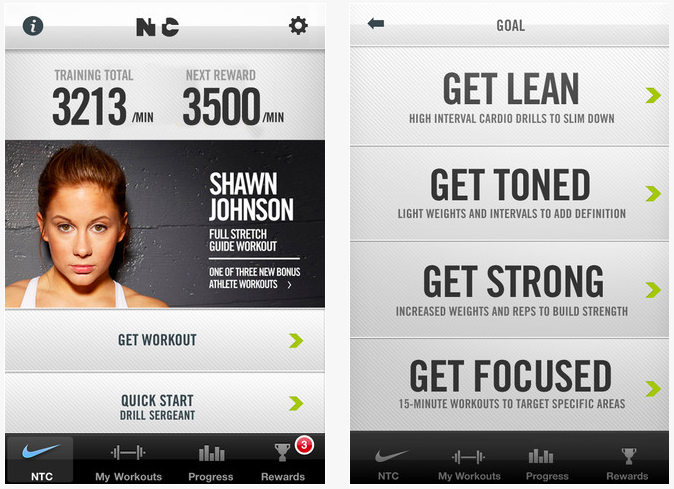 As someone who tires easily from the repetitive motions of machines at the gym, having a pocket personal trainer via an application on my phone would really help.Usually when I browse through iTunes I never know what to buy because of the huge selection, but I came across these three exercise apps and they’re great! This recipe for the popular sweet and salty snack comes from Shannon of Skinny Sometimes. Check out her site and follow her on Twitter. As an accessory, perfume can express your personality and elevate your look, or it can clog your coworkers’ nostrils. While summer is ideal for sweet floral scents, many of them can be overpowering for the confined space of an office; so, instead of overwhelming your colleagues with excessively saccharine perfumes, try lighter, delicate, floral scents that are season and office appropriate. Here are some fragrances bursting with freshness that will keep you awake at your desk and smelling good all summer long. The Upper East Side isn’t exactly office central of New York City (that would be Midtown—Central, East, or West—or the Financial District), but there’s no question that people who do work in the area need to duck out of the office every so often. 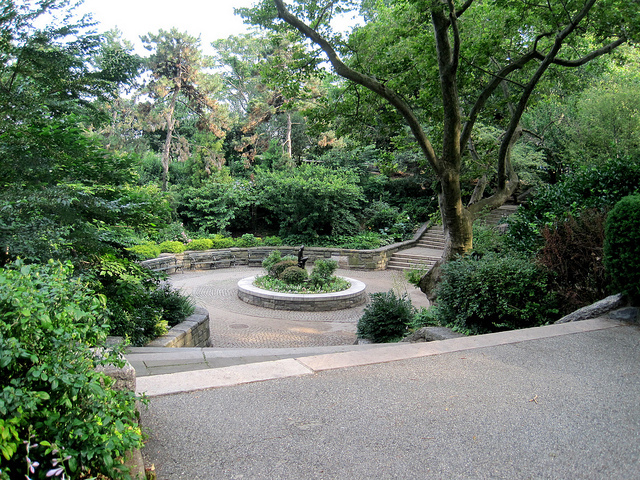 While several of New York City’s other neighborhoods have many spaces and parks for the public to explore and enjoy, the Upper East Side has very few (not counting Central Park because that’s obviously a huge attraction). Nevertheless, this is still the Upper East Side and the neighborhood makes sure its public spaces, as few as they may be, count.